Kratom and Cardio – Running Boring? Not Anymore! If you are like millions of people, you don’t really enjoy walking, much less walking in place. Kratom and cardio will mix very nicely for you if you tend to have trouble staying on the treadmill, or even getting there in the first place. The fact of the matter is that walking and running is extremely healthy and beneficial to our long term health. However, if you cannot bring yourself to even get to the treadmill (or street) than I believe it is okay to use a third party source to help you on your journey. Kratom and cardio make for a happier session and eventually will help you look forward to your cardio. Although kratom is not the only tip I will give you in this post to help with cardio, it most certainly is a great benefit for those having trouble motivating themselves. I just recently took up cardio again, I personally do not like it but I am starting to enjoy it. I am getting to the point where I am looking forward to waking up early to get my 3C in. The 3C Morning Routine was developed by Victor Pride and it has personally been a blessing for me. I strongly recommend trying this for at least 5 days. Coffee, Cardio, Cold Shower are the 3c’s, getting to a cold shower may take time. If you take away a small amount of heat everyday, you will learn to enjoy the cold shower. Especially if you get a nice sweat going during cardio. This routine is great for me, and I strongly suggest trying to strive for this. However if you have trouble with this routine and are wanting a variation, let me help you get some perspective on cardio. It is important to never focus on the time when you are walking, biking, climbing or whichever form of cardio you prefer. I have found that if you look at the time, your mind tends to get bored and if you are new, this is a killer and will stop wanting you to come back. 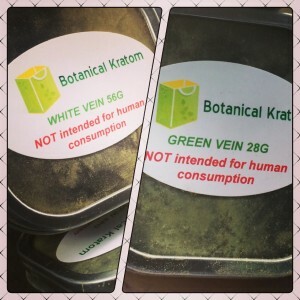 Apart from everything that Victor says in his 3c Morning routine, I like to add some kratom and it will rotate on every day (this is best on paper)However if I do not have enough strains to rotate, I like to go with a green, or white vein. You can use all of them essentially, as long as your kratom dosage is right the red vein can still be used for a great cardio session. These are my two favourite strains to blast my morning cardio with. This may change in the future but right now, this is the best for me. Jessy’s Cardio Mash – Up! White Vein Kratom and Cardio– Of course the white vein is the obvious choice when it comes to kratom and energetic tasks. The white vein will allow for a great (mild) euphoric; stimulating effect that, combined with coffee will make you get on that bike and NEVER STOP! or treadmill? or elliptical …. or ? Pick your health machine and go!! Understanding that the benefits of the morning cardio alone should drastically motivate you to want to get it done. Not only will you feel great after, but you will be physically and mentally HEALING your body. Human beings use to walk everywhere, and for an extended period of time. Think and ponder about our ancestors that had no cars. 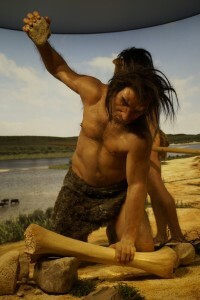 They use to grow their food, tame their animals, kill them, cook them than feed themselves. They only had access to what they grew, nothing more. This inspired gratefulness as well as a constant movement based lifestyle. The world has changed drastically and now we barely exercise and walking alone is considered exercise. For our ancestors, walking was a method of transportation. Let that soak in for a second. With this being said, it is important to not sit to long either, always stand every hour. You can stretch or walk around, but sitting is very bad as well. Also, as Victor mentioned in his blog about the 3C Morning Routine it is nice to listen to a podcast or something interactive, I personally don’t like music for cardio. The problem with listening to music you listened to already, and that you probably listen to in the gym, is that its the same ol same ol. If you are new to cardio, you will tend to get bored and eventually quit. Unless you have found some new music or some old tunes that you have re discovered I personally find it very hard to walk 30 minutes to music. At this time I listen to audio books because I can download them to my iPhone via Audible. This way I can listen to something extremely interesting. Kratom and cardio really is great when I listen to audible because I personally LOVE learning while using kratom. The mixture of feeling amazing with kratom and having something to listen to other than music will help keep you motivated to come back the next day! At first it will require you to have some willpower to get yourself to perform the morning cardio. If you are like me than you work every week day and start at 8 o’clock (if you don’t just use these numbers as a scale). Your morning routine could basically follow what I am performing now. I have only recently started this and I am starting to feel myself being drawn to wanting to do it. MY only problem, is getting to bed at night to be able to wake up early enough to perform the 3c morning routine. However, this is what I do in the morning so that I can start my day perfectly. Wake up, turn coffee pot on. Drink As much water as possible. This as been proving to be effective of late and this is why I want to bring you the important of getting your heart pumping in the morning. Essentially we all wake up with a groggy dread and for some of us it may take a long time to wake up. You are basically wasting your time when you are walking around like a zombie. I have slept some nights 3 hours, woke up at 4:30 am, performed the above and was ready to run through a brick wall. Now that I have started this process, it is very motivating to keep going. I do strength train, but there is definite benefit from getting the heart pumping early. Considering you are eating within your calorie count for the day and strength train, you will be becoming more tone and defined. This will no doubt help you keep it up and essentially you will become extremely healthier, but you must put in the small pound of willpower that it takes to start momentum. Cardio is healthy for your cardiovasculatory system and is greatly beneficial to your mind as well. When you activate the muscles by walking or exercising, it sends various signals to the brain and also gets lactic acid flowing. This is greatly beneficial and will help you start your day in style and live on this earth for a longer period of time. You will also enjoy the benefits of healthy lungs such as walking in the park with friends and loved ones, swimming with your significant other (even if its been years, start getting back to it). Once you can get yourself going, it will be easier to keep it up. Give yourself 5 days to do this by pushing yourself, you will still need to push yourself beyond the 5 days, however a lot less than you will for the first 5. Be sure to use common sense when doing cardio as well, if you are feeling dizzy or faint stop, if you have pre existing conditions than always consult your doctor before beginning any physical exercise. “What you do not use, you will lose” is justified in this case. Sedentary lifestyles are slowly killing us, this means that we must keep ourselves healthy. Not using our health will no doubt deteriorate it a lot quicker than a person who uses healthy practice in his lifestyle. 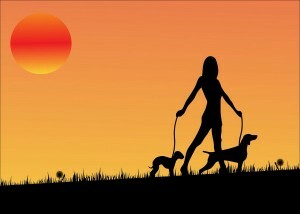 Perhaps it will not start as a daily walk, however, slowly graduate to having healthy habits during the day. Create opportunities to make healthy decisions and make these happen more and more frequently during the day. This will also have a highly sought after effect that can no doubt help in the motivation process. Until than, stay safe and take care! Previous story Hiding to take Kratom? – Fear the Judgement of Loved Ones? Hiding to take Kratom? – Fear the Judgement of Loved Ones?